Back in January, an O’Reilly Factor segment on Fox and an anonymously-sourced NBC report declared that Army Sgt. Bowe Bergdahl will be charged with desertion nearly a year after he was released to the U.S. from Taliban captivity as part of a controversial prisoner exchange. Both claims were met with swift denials from the Pentagon and some media mockery. 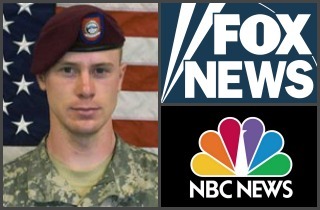 That same evening, Lt. Col. Tony Shaffer told Fox’s Bill O’Reilly that “senior defense officials” informed him that “a decision was made” to charge Bergdahl, though no formal announcement had happened yet. Conservative media outlets latched onto the reports almost immediately, while other outlets dismissed them — especially Shaffer’s, due to his longstanding history of fiery claims. CNNMoney asked whether both Fox and NBC News had gotten the story wrong by airing such claims unchecked. In the end, while Wednesday’s announcement that the Army will charge Bergdahl with “desertion” and “misbehavior before the enemy” may have come as a surprise to many, that’s apparently not the case for Shaffer and Miklaszewski.